...so I looked to the one person whose recipes have never failed me. More specifically, I looked in her book first. And there, in the sweets section, was just the recipe I needed! I would share that version here today, because that's the version pictured here... but I'm not going to, because Deb's book is awesome and I encourage you to buy a copy for yourself. Instead, here's a tweaked version of the recipe that I came up with at Shawn's brilliant suggestion. 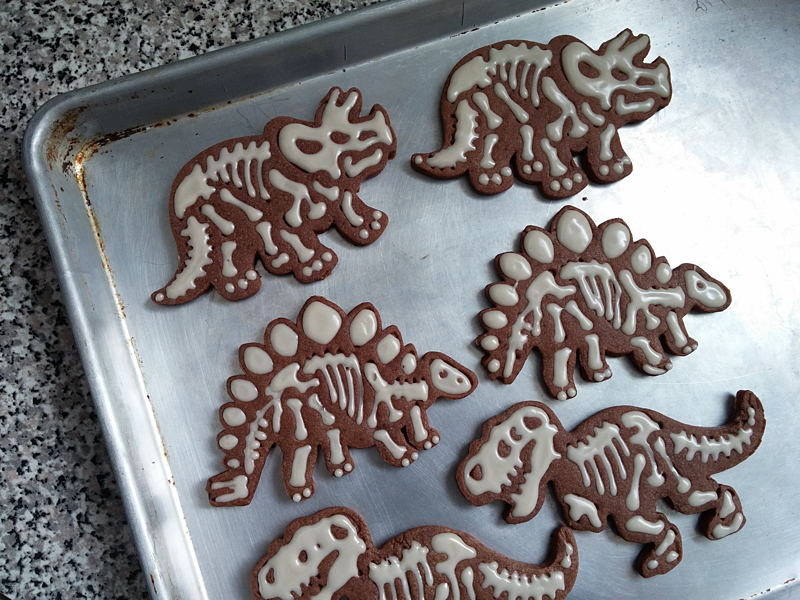 He took one bite of a cookie and amidst eating it said something about "oohmneffghad key lime pie mmshnfgah...", and these iced key lime pie fossil cookies were born. 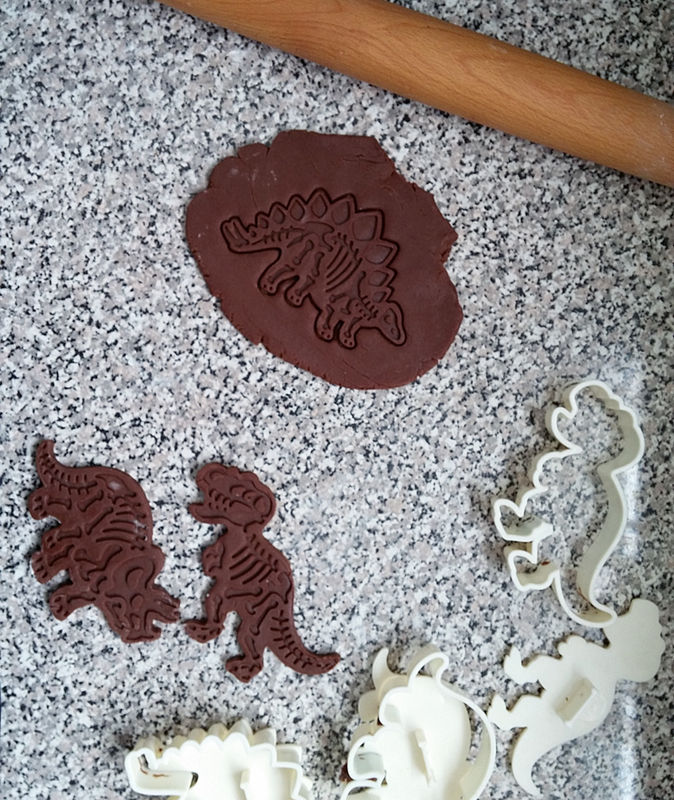 Of course, you don't need dinosaur cookie cutters to make this recipe... but they're highly recommended if only for entertainment value! - Whisk the flour, cocoa powder, cinnamon, salt, baking powder, and lime zest in a bowl and set aside. Beat the butter and sugar together in a mixer or with hand beaters until light and fluffy. Add the egg and the vanilla extract. Add the dry ingredients in gradually, until combined. Gather the dough into a ball, flatten, and wrap in plastic wrap. Refrigerate until mostly firm; about an hour. - Preheat the oven to 350 degrees. Roll the cookie dough out to about 1/4 inch thick on a lightly floured surface. 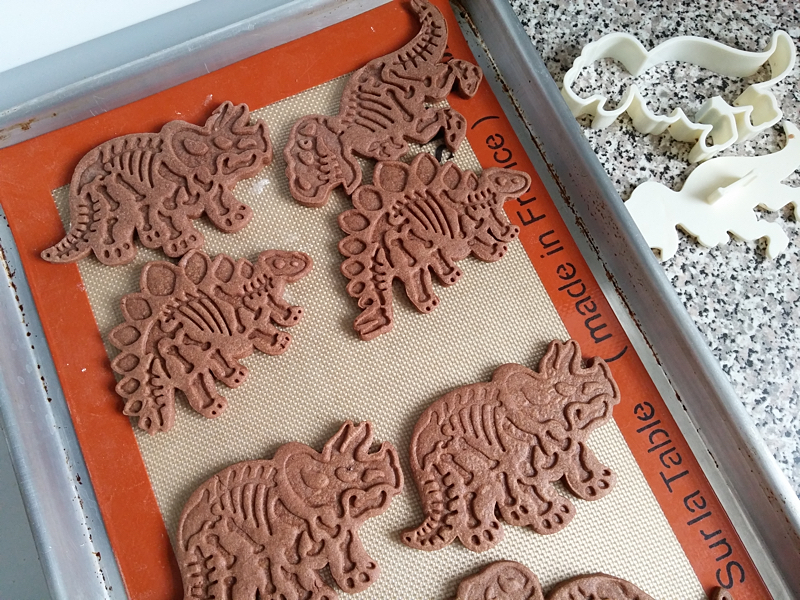 Cut into desired shapes and bake on a parchment lined cookie sheet for approximately 10 minutes, until the edges are firm and the centers are slightly puffed. Let the pan cool on a wire rack. - While the cookies are cooling, make your icing by whisking the powdered sugar and lime juice together until smooth. Add more liquid if the icing is too thick, or more powdered sugar if it's too loose. Once the cookies are cool, use a spoon to drizzle icing on top of the cookies. 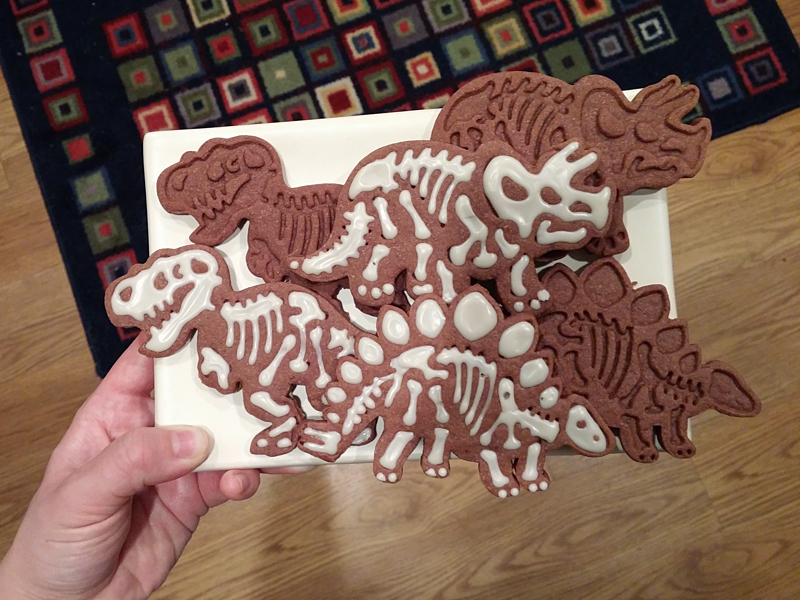 Let me know if you make these, or if you know of any other awesome cookie cutters! They look so awesome!! And I'm sure they taste incredible as well! 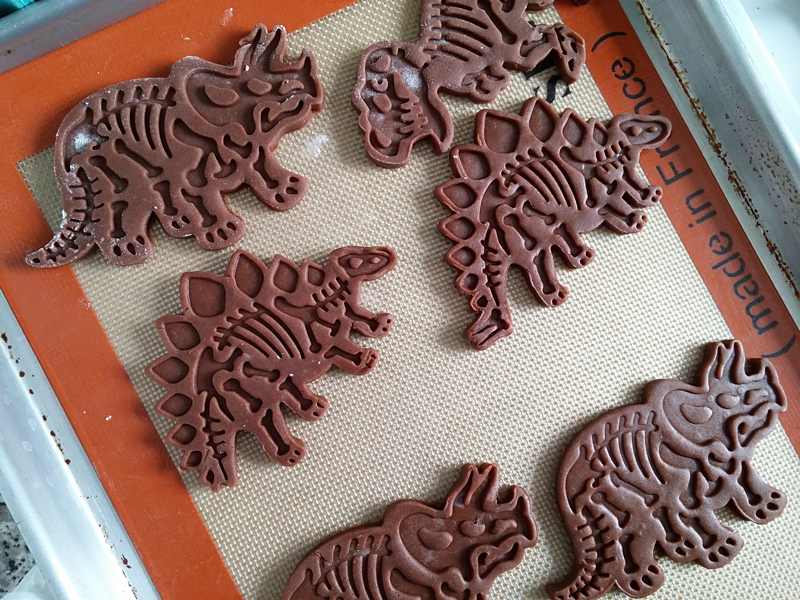 Those are awesome - my husband would love these! Always love a good cookie recipe too! I've seen the ninjabread men ones before - they're fun too!